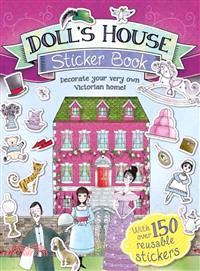 Lets you open the doors onto a charming Victorian doll's house. Featuring beautiful rooms, this title offers reusable stickers that can be used to decorate the house just the way you want it. It also includes colouring, doodling and decorating activities. Maria Taylor lives in Plymouth, UK, where she lectures in illustration at Plymouth College of Art. She illustrated the children's ward at Plymouth Hospital and has illustrated books for Penguin.